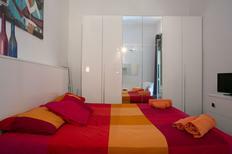 You’ll find this exceptional holiday apartment for four people in the heart of Rome. ​Italy | In the end it comes down to the furnishings if one feels comfortable. That applies to both your home and holiday. These holiday houses have a particularly fancy interior which gives them a unique flair for your vacation. 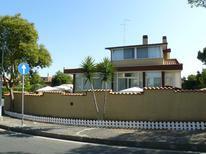 Attractive city apartment in the centre of Rome which has been rated with an average of five out of five house symbols. Rome | Would you like to know which holiday home or apartment is particularly worth spending a holiday in? 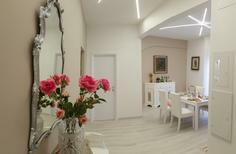 Here we'll show you the accommodation in Rome, which has received the best reviews from our customers. 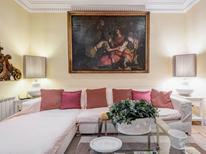 Apartment situated in an old palazzo near St Peter’s Basilica. ​Rome | After you have visited the antique sights and exciting museums you can return to your retreat and remain completely independent. ​Rome | There could not have been a more prominent winner! The Italian capital has received the best reviews from our customers, and is therefore the best holiday resort in Italy. 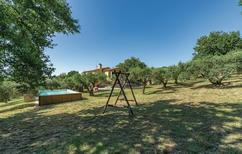 Secluded country house for up to 12 people in Tuscany. ​Italy | Give your Italian holiday the perfect touch in a holiday home with its own pool: Splash about with the whole family in the water or let yourself completely relax. Italy | The best way to enjoy "la dolce vita" is on a tenderly restored country estate which in past times was used for agriculture. Holiday residence surrounded by grapevines in Tuscany. Italy | On an Italian vineyard you can straight away taste the wine and experience the production on some country estates up close. Pool in a holiday resort at Lake Garda. Here amongst others there is an apartment for 4 people. Italy | Parents can relax and unwind whilst their children are taken of and entertained in a holiday park or holiday residence. A holiday house in Rome and the surrounding area costs on average GBP 968 in the cheap travel period and GBP 1,294 in the peak season per week. These details are of course in relation to the house and not per person as well as includes the obligatory additional charges. “All roads lead to Rome,” was literally true in ancient times, with nearly 50,000 miles of paved roadway carrying travellers to Rome’s political and social center, the Roman Forum. Even now, 2,000 years later, Rome and the surrounding area is still a sought-after destination. With archeological sites, piazzas, and numerous options to vacation in holiday houses, or holiday rentals, Rome is the ideal, family-friendly holiday locale. With its amenable weather, Rome and the surrounding area is easy to explore any time of year. Rent holiday apartments or holiday homes in Italy, then start your excursion with a tour of the world-renown Colosseum and Roman Forum. From there, walk to the Palatine Hill Ruins and Circus Maximus. Must-see sights in Rome include the Pantheon and famous Trevi Fountain. Be sure to visit Campo di Fiori, a kid-friendly, open-air market featuring fresh foods, souvenirs, a bakery, and gelato shop. A stop at the Vatican will require an entire day, with the Vatican Museum and Sistine Chapel being essential to your visit. Climb the dome of St. Peter’s Cathedral, where you will be rewarded with a panoramic view of the city. At the end of each fun-filled day, you will be grateful for the leisurely evenings in your holiday home or holiday apartment. If you are planning a day-trip by train, it will begin at Termini Station, which is a quick underground ride from almost all holiday rentals or apartments in Rome. For a short trip, visit Fiumicino, an ancient seaport 30 kilometers from Rome. For a day at the sea, try Spurlonga, a picturesque coastal city. The mountains of Umbria are ideal for hikers and nature-lovers. Pompeii is also a manageable day-trip, roughly 2 hours (one-way) by train.